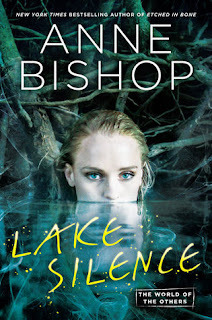 Lake Silence is book 6 in The Others series. We're no longer in Meg Corbyn's POV like the previous 5 books, our new leading lady is Vicki DeVine, a human who runs a rustic resort near Lake Silence. I've missed this world so much and really enjoyed this addition to the series. I would strongly suggest reading these in order even though we have a new town and lead character. The content expects you to know some things from the previous installments so you might have a few issues if you jump straight into this book. This is a must read series if you're a fan of Urban Fantasy, the world building is amazing and the characters draw you in from the start. We start off meeting Vicki DeVine, who is trying her best to make the resort she received in her divorce settlement a place tourists will want to stay at. Lake Silence is an interesting town and completely different compared to the Lakeside Courtyard, while it is a human town, the terra indigene are in control and I'm thankful we still see them quite heavily in the story. We dive right into the action when Vicki's lodger, Aggie Crowe finds a dead body not too far away so Vicki calls in the cavalry and it opens up a huge can of worms. The police from a neighboring town come to investigate, and while some of the police are actually there to do their job, a few you can tell are listening to someone's orders outside the force. Everyone is still a bit uneasy from the events that happened in the previous installments with the terra indigene so there's a lot of walking on egg shells. 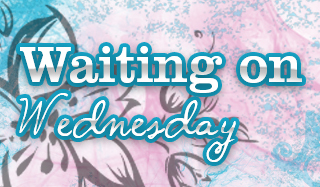 There's something afoot and Vicki's abusive ex-husband reenters the picture and we also get to focus on a new threat as the story is told. I liked seeing the terra indigene in Lake Silence grow closer to Vicki and more protective of her, she needed all the support she could get and I really wound up enjoyed her character. Lake Silence is even better than I expected, which is saying a lot since my expectations were high to begin with. I was thrilled that we get to meet some new terra indigene while reading, and I'll be interested in seeing if any other new ones pop up in the next installment. I am wondering if we'll be hopping around the cities with different lead characters though since it looks like the next installment will be set in Bennett, release is set for March 2019. Either way, I know I'll grab the audiobook as fast as I can because this series is addictive and told so well. If you're a fan of Urban Fantasy and haven't read these books yet, do yourself a favor and grab them soon! Alexandra Harris does an amazing job as always. I cannot do these books in any other format, it just wouldn't be the same.